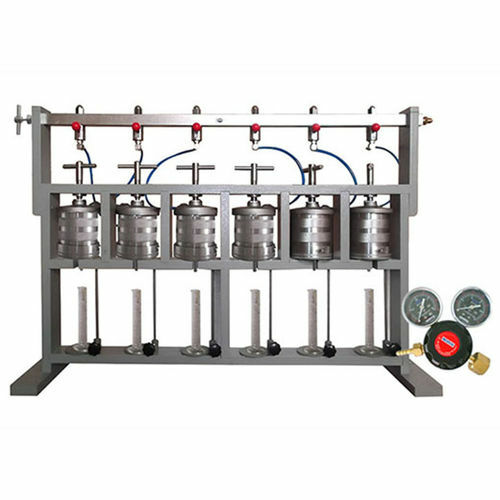 Multiple Unit Filter Press assemblies permit simultaneous running of one to six filtration tests. Each one of the assemblies consists of a frame with the indicated number of complete Stainless Steel filter cells. Manifolds are complete with air hoses, cut-offs and bleeder valves. Accessories such as pressure regulators and hoses for connection to pressurization source are sold separately.